Small articles may be galvanized by variation on the standard hot dip galvanizing process and is known as `Centrifuge (or spin) Galvanizing`. In centrifuge galvanizing the work follows the same process route as for larger articles except the items are loaded into a basket which is spun at high speed immediately after removal from the molten zinc. This removes surplus zinc and improves the uniform distribution of the zinc coating, while preventing pieces from sticking together. Work is normally quenched immediately after centrifuging. Centrifuge galvanizing may be conducted by the conventional process at about 450°C or by high temperature process at about 550°C. In the conventional process a series of zinc-iron alloy layers which are mettalugically bonded to the base steel are formed during immersion in the molten zinc, these being covered by an outer layer of soft pure zinc. In contrast, high temperature galvanizing process produces a coating comprised fully of zinc-iron alloy. While only small components are normally `centrifuge galvanized` larger pieces might also be processed this route. The ability to centrifuge galvanize larger components depend upon the capacity of the centrifuge which will dictate the maximum size and weight that can be processed. The action of centrifuging removes some of the pure zinc layer and so small components which have been centrifuged usually have thinner coatings than those which have not been centrifuged. As a result, the zinc coating on components which have been centrifuged may not have a shiny silver appearance which is associated with articles which have been galvanized. The zinc coating on small components tends to be light to dark grey in appearance, the difference in appearance being entirely aesthetic and does not in any way affect the quality of corrosion protection afforded by the coating. The appearance of the zinc coating is primarily dependent on the steel composition and cannot be changed by the galvanizer. Occasionally small centrifuged components which have been cold-pressed or cold-drawn may exhibit some reduction in the exact of adherence of the zinc coating to the steel surface. Galvanizing of small components is covered by BS EN ISO 1461 although product standards such as BS 7371-6 for fasteners may apply. It should be noted that other zinc coating processes such as zinc plating are sometimes wrongly termed as galvanizing. These alternative coating processes typically achieve thinner coatings which provide a lower level of corrosion protection and Table below summarises typical coating thickness. It is important that articles are suitable for galvanizing and that their design lends them to the process. For example, centrifuge galvanizing caps, tube bends and articles with indentations may be difficult because the zinc may not be removed satisfactorily from hollow or re-entrant areas. As a general rule, bolts down to M8 threads can be readily galvanized and threaded components up to 2m long have been processed. Special arrangements might be made to galvanize threaded components outside of this range. 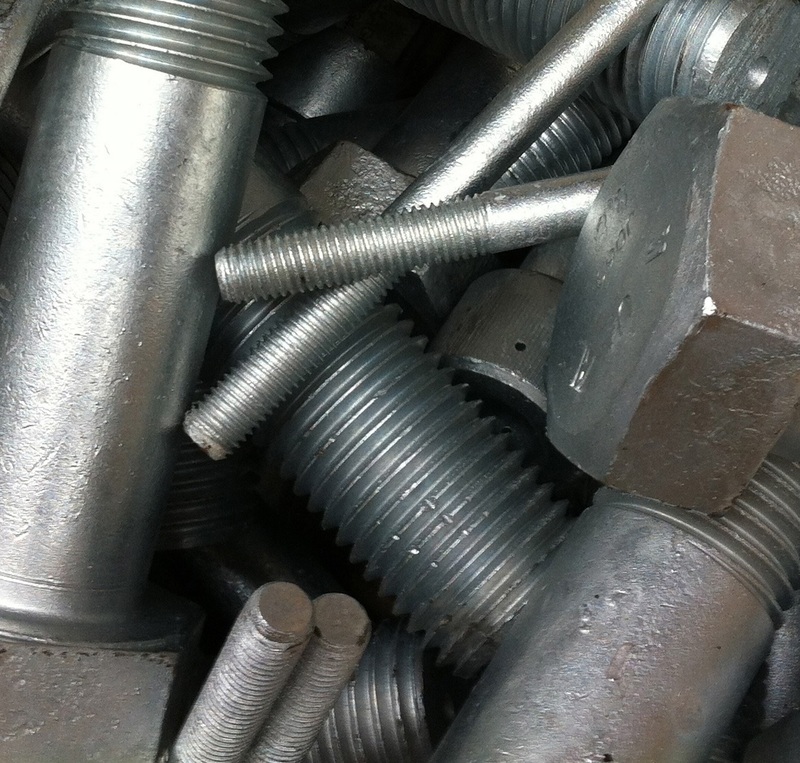 For hot dip galvanized bolts and nuts, it is normal for standard bolts from stock to be galvanized; the nuts are galvanized as blanks and then tapped up to 0.4 mm oversize with the threads lightly oiled. When assembled the nut thread is protected by contact with the coating on the bolt. 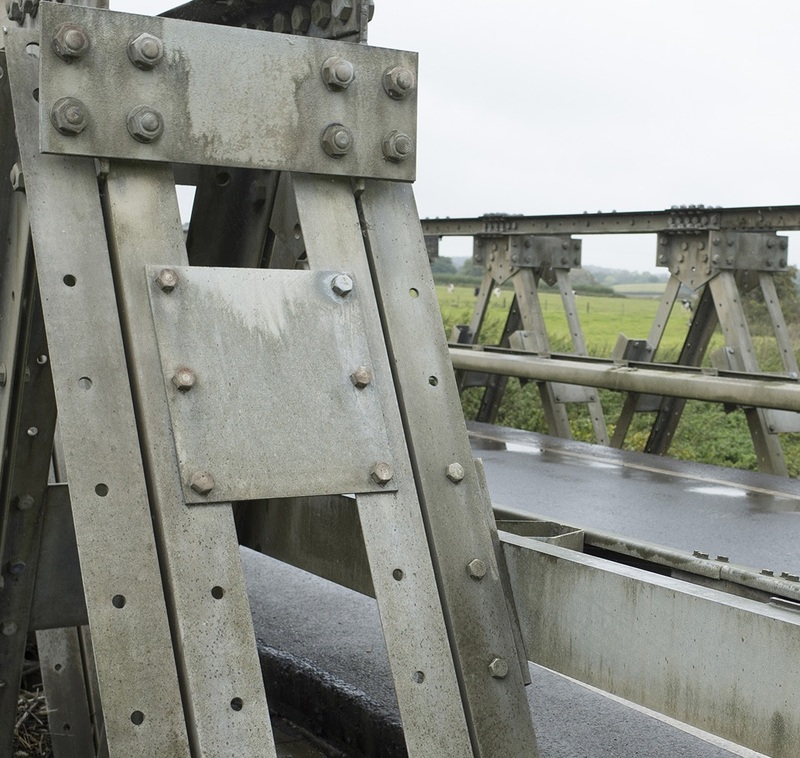 Galvanized bolts and nuts can be readily unfastened even after many years of service. 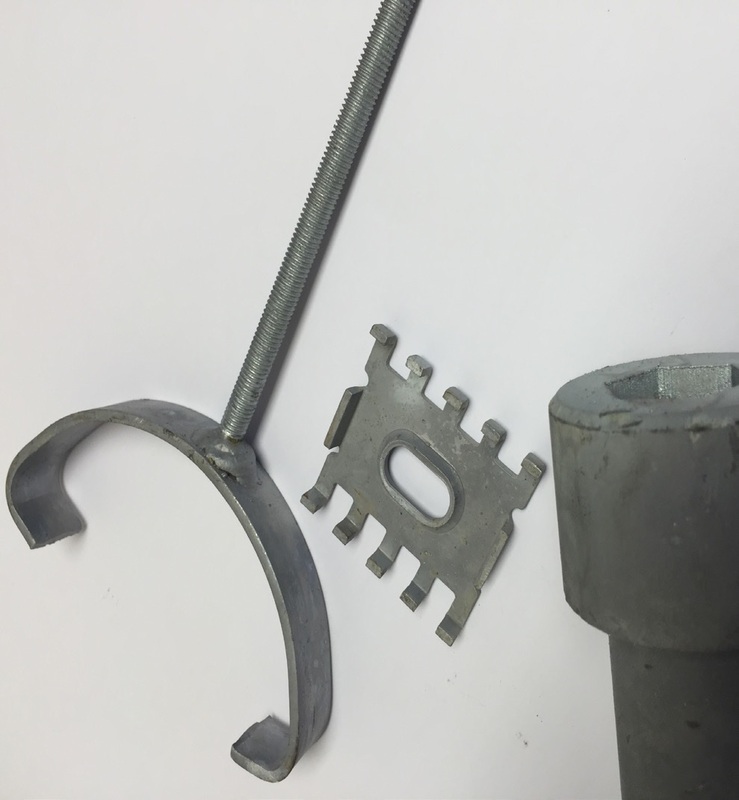 General grade high strength friction grip bolts (ISO 8.8) can be galvanized without difficulty while higher strength fasteners (ISO 10.9) are galvanized following prior blast cleaning. It should be noted that the nut should be one strength level greater than the bolt (e.g. for an 8.8 bolt a 10.9 nut is used). 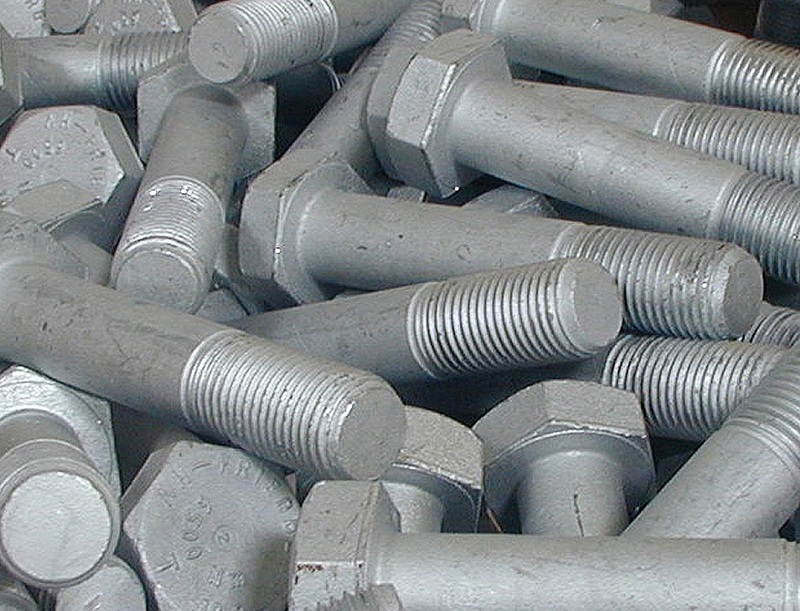 Hot dip galvanized nuts and bolts are used for high strength friction grip joints in a wide range of steel structures. Initially the coefficient of friction between galvanized contact surfaces is low at about 0.19. As slip commences friction rapidly builds up and lock-up occurs due to cold welding between the coated surfaces. If a small amount of slip can be tolerated it is unnecessary to treat the surfaces, but if all slip must be avoided, the coefficient of friction may be raised by roughening the galvanized surface. The coefficient of friction can be raised by wire brushing (0.35-0.5), sweep blasting, use of a pneumatic chisel hammer or needle gun (0.5-0.6). The lock-up effect can cause galling of the threads of galvanized fasteners used in friction grip connections and lubrication with for example beeswax or molybdenum disulphide may be used. In the USA, galvanizing is one of the few coatings permitted on the contract surfaces in the specification for friction grip joints. This in approved by the Research Council for Riveted and Bolted Structural Joints of the Engineering Foundation. There are two principle ways of galvanizing chains, including the use o a vibratory system and centrifuge galvanizing. Chains may be galvanized using a vibratory system to prevent chain links welding together following withdrawal from the galvanizing bath. Alternatively, chains may be centrifuged after hot dip galvanizing in order to ensure a uniform zinc coating and to prevent welding of the individual links. However, the ability of the galvanizer to accept chains might be limited by the capacity of the centrifuge and the weight of the chains. Heavy lengthy chains are sometimes too large to be centrifuged and in such circumstances the conventional process must be used. A wide variety of small components can be galvanized. Typical examples might include clamps, hinges, hasps and clips. The materials used and the design of the components must be suitable for hot dip galvanizing. You can find more information about Hot Dip Galvanizing on Galvanizing Association website. Advice is also available from GA to ensure optimum design of components.